Problem management can be one of the most beneficial IT service management disciplines, but it can also be one of the most difficult to justify and maintain. How well you do – both initially and longer term – depends not only on your problem management process but also the effectiveness of the people involved. Problem management is all about getting to the bottom, or the root causes, of recurring incidents; and fixing them once and for all – so they don’t keep happening. Done well, problem management will not only eliminate the triggers for some common IT issues but also minimize the impact of incidents that can’t be prevented using workarounds, temporary fixes, and known errors. It sounds great. But all too often though, problem management is a process that can get bogged down in administration or overcomplicated beyond the point of it being useful. Usually leading to lots of problems being identified but too few actual fixes or improvement options. Our customers deserve so much better; so, if you’re a problem-manager-type, here are my seven top tips – a collection of positive actions and habits – to being more effective in your role. At the outset, create a clear process and set of procedures that scope what problem management is and isn’t, and document the responsibilities of the key players in a RACI (responsible, accountable, consulted, informed) chart. What is problem management and why is it needed? What time scales are involved? What are the touchpoints between incident and problem management? Having the right documentation in place also means that you can better communicate what is and isn’t covered and the key deliverables of your activities – as well as setting out the support you’ll need from other IT and IT service management (ITSM) areas. Everyone knows about the IT organization’s incident management and request fulfilment capabilities, right? It’s the IT service desk or help desk. But how many end users and customers understand what problems, known errors, and workarounds are? As a consequence, problem management can be a tougher sell – so start with the quick wins. One of the easiest ways to get buy-in for problem management is to start with the issues that are causing the business most pain. For example, major incidents – the type of incident that causes disruption, downtime, and adverse business impact. Carrying out a proper root cause analysis means that you can establish a clear timeline of events, what went wrong, how it was fixed, and how IT can prevent the same issue from happening again. It’s an opportunity to start to sell a formal problem management capability. Sometimes as a problem manager you’re faced with an issue that seems to be unsolvable but, while you might not be able to fix everything that lands in your inbox, you can follow the process through, identify any triggers or trends, and look for workarounds or other ways to mitigate the issue’s impact. Are there any common themes? Do we have a fix? If we don’t have a permanent resolution, is there a workaround we can put in place? Who can carry out the fix? Has a change request been raised? By having a set way of working, you can start getting answers or at least ideas on how to make an issue less painful for your customers; and having structure means that nothing will be missed or forgotten about. What do you want your process to be used for? Major incidents only? What services are in scope – everything or only systems documented in the service catalog or covered by service level agreements (SLAs)? What level of input will you need from your service desk and technical support teams? Setting expectations as early as possible is good practice; it will communicate what your process, or capability, covers and people will know what to do when you come knocking at their door asking for their help with a problem. One of my favorite concepts from ITIL v2 – ah, the good old days – is the technical observation post, aka the TOP. The purpose of a TOP is to gather support staff from within the IT organization to work together on fault fixing and availability – observing what happens in real time. 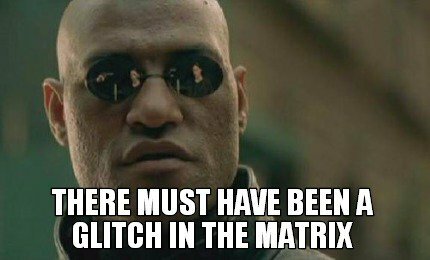 Sometimes a fault has multiple causes that combine to cause downtime, performance issues, or other glitches in the matrix. By asking all relevant support teams to send a representative to observe and talk through potential causes, you get to share ideas, get different perspectives, and have the opportunity to come up with new ways of fixing things. Don’t just wait for things to fall over. To really up your problem management game and to add real value to your customers, look at how you can introduce some proactive activities into your process. Start simple. For example, ask your business relationship managers what’s worrying customers and ask your support teams what’s keeping them (support) up at night. You might not have all the answers straight away but, by logging things, they get noticed on meeting agendas, and become visible to senior management. Another option is to carry out trend analysis – looking at what has been logged from an incident perspective to see if there are any common themes. When you look at what’s happened in the past, it can give you an idea of areas of exposure. For example, overnight processing running late at busy times, servers becoming unresponsive after a long period of uptime, or network contention at quarter-end when the entire sales team is trying to make their numbers. The important thing to remember is: if it’s happened once, it can happen again. Like the old proverb says: forewarned is forearmed. The service desk – they see and log everything and are a fantastic source of potential trends. Work with the service desk to develop scripting for logging incidents to make sure that the right things are captured to aid effective problem analysis. Support teams – they are able to help you to identify the underlying cause(s) and (hopefully) a fix. Change management – they help you implement the fix in a controlled manner, i.e. making sure that you don’t make things worse by breaking an onward service! Availability management – they provide subject matter expertise on downtime prevention. Capacity management – they provide subject management expertise on improving performance at the business, service, and component levels. Customers – they will help you to understand business priorities and opportunities for improvement. Engaging with all your problem management stakeholders means that your process will become more effective and it will be easier to identify fixes and improvement actions – ultimately improving overall service quality. So that’s my seven habits of highly-effective problem managers. What would you add? Please let me know in the comments section below. How Many Languages Should Your Service Desk Support?